It's a familiar campaign slogan used by more than a few political candidates across California, but Santa Ana city council member Michele Martinez actually delivered on it. Long after winning a seat on the Santa Ana City Council in 2006 with a reputation for pushing for more government accountability, Martinez has not only helped boost residents' trust in city government, she landed a tangible result to show for it: a sunshine ordinance forged by a coalition of city officials and community activists who were impressed with Martinez's personal commitment to city affairs. 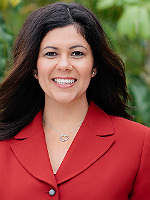 While the city's sunshine ordinance was passed three years ago, Santa Ana Mayor Pro Tem Vincent Sarmiento said Martinez's whirlwind of enthusiasm and her conviction to “do more than what's expected” continue to be a boon to the city. That's not to say every single resident is now in love with City Hall, but Martinez insists that any public office holder can enjoy an infusion of trust by following three basic steps. A city's “front door” is its official website. Visit the City of Santa Ana online and there's a welcome mat in the form of a hard-to-miss tab labeled “Open Government,” which is actually a guide to public access. 2. Listen closely to those who aren't happy. Several months later, there was an opportunity to take Step 3. 3. Invite them to partner with you to find solutions. It also means Santa Ana is now aligned with other California cities that offer open access including budget updates several times a year, from first drafts to budget projections.